Proposition 62 was a California ballot proposition on the November 8, 2016, ballot that would have repealed the death penalty and replaced it with life imprisonment and forced labor without possibility of parole. It would have applied retroactively to existing death sentences and increased the portion of life inmates' wages that may be applied to victim restitution. A September 2016 poll from USC Dornsife / Los Angeles Times showed 51% percent of registered voters in favor of Proposition 62, 40% opposed, and 9% unknown. Proposition 62 was rejected by voters in the November general election, with 46.9% voting to end executions. Proposition 66 was approved by voters in the same election, with 51.1% voting to speed up executions. If voters had passed both Proposition 62 and Proposition 66, then the measure with the most "Yes" votes would have taken effect. Proposition 62 was estimated to have reduced state spending by $150 million a year. Proponents spent $8.9 million fighting for Proposition 62, with the top contribution being $1.5 million from Stanford University professor Nick McKeown. Other top contributing proponents include Tom Steyer, Reed Hastings, John Doerr, and Paul Graham. The measure was supported by the editorial boards of the Los Angeles Times, the San Francisco Chronicle, and The Sacramento Bee. Opponents spent $4.4 million fighting against Proposition 62, with the top contribution being $498,303 from the California prison guards’ union. Other top contributing opponents include the California Highway Patrolmen’s union, and the LAPD police union. After the Supreme Court of California abolished the death penalty in People v. Anderson (1972), California voters restored capital punishment in California with California Proposition 17 (1972). However, since 1978, California has executed only 13 prisoners, while the population on death row has increased to 750. No prisoner has been executed since 2006, when a federal judge put a hold on the lethal injection procedure the state was using. Abolition of the death penalty through California Proposition 34, 2012 was rejected by 52% of voters. The path to the ballot started when Mike Farrel, an American actor and activist, wrote a title and ballot summary on September 15, 2015. A title and summary was then issued by California attorney general's office on November 19, 2015. For a ballot to be qualified, 365,880 valid signatures are needed. On May 2, 2016, petitioners submitted the signatures to county officials. The deadline to submit the required signatures was May 17, 2016. Sponsors of the measure hired PCI Consultants, Inc. to collect signatures for the petition to qualify this measure for the ballot. A total of $3,192,775.30 was spent to collect the 365,880 valid signatures required to put this measure before voters, resulting in a total cost per required signature (CPRS) of $8.73. ^ "Proposition 62. California General Election November 8, 2016. Official Voter Information Guide". California Secretary of State. Retrieved 10 October 2016. ^ a b Miller, Jim (9 November 2016). "California votes to keep death penalty". The Sacramento Bee. Retrieved 11 November 2016. ^ a b c d e f g h i j Shafer, Scott. "Election 2016: Proposition 62". KQED News. Retrieved 20 October 2016. ^ The Editorial Board of the Los Angeles Times (3 September 2016). "Props 62 and 66: California voters should end the death penalty, not speed it up". Los Angeles Times. Retrieved 20 October 2016. ^ The Editorial Board of the San Francisco Chronicle (25 August 2016). "Fight crime, not futility: Abolish death penalty". San Francisco Chronicle. Retrieved 20 October 2016. ^ The Editorial Board of the Sacramento Bee (7 October 2016). "End the illusion: Abolish the death penalty". The Sacramento Bee. Retrieved 20 October 2016. 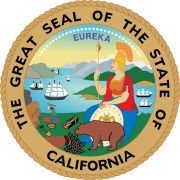 ^ "California Proposition 62, Repeal of the Death Penalty (2016) - Ballotpedia". Retrieved 2016-10-11.